An unforgettable evening of storytelling, improvised skits and hilarity. The night, is in celebration of our 50th anniversary as an arts centre and 10th year since reopening as a charity. All proceeds from the event will go towards the Roundhouse’s work with young people. Each year thousands of 11-25 year-olds have the chance to develop their skills and confidence through creativity – in music, media or performing arts projects at the Roundhouse. Creativity inspires young people to reach further, dream bigger, and achieve more. Especially those from backgrounds that can feel limiting – or even hopeless. Age restrictions: 14+. Under 16s to be accompanied by an adult. There is no guarantee there won’t be bad language and rude references! 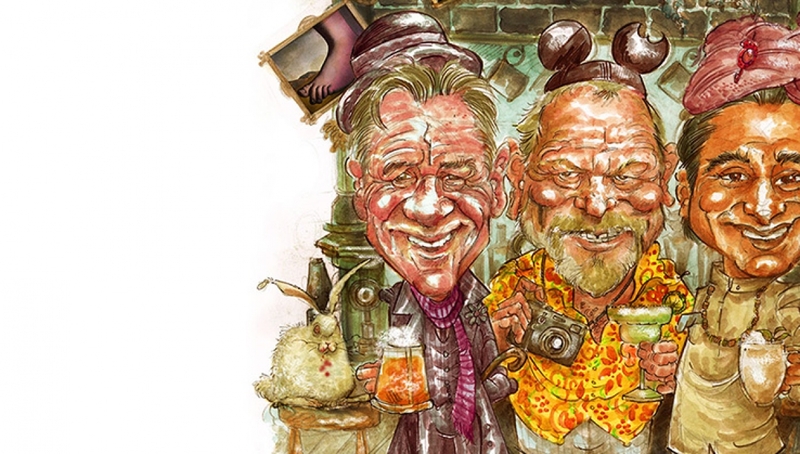 A once in a lifetime chance to join Terry Gilliam, Michael Palin and Sanjeev Bhaskar for a drink on the legendary Roundhouse stage. £495 could give an up and coming artist from disadvantaged background a week in our recording studio working with an industry professional. £195 could pay for a disadvantaged and isolated young person to participate in a creative project. £60 could pay for 6 budding music producers to have the chance to work with singers & industry professionals to create a new and original track. Seat with a partially restricted view. £35 could give an emerging artist the space and kit to work on their own creative projects.